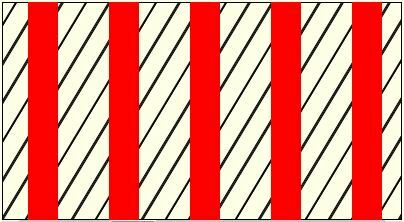 Parallel lines appear to break the transversals off. The closer the inclination of the lines in the two families, the more pronounced is the effect. This is a variant of another Poggendorff's illusion.